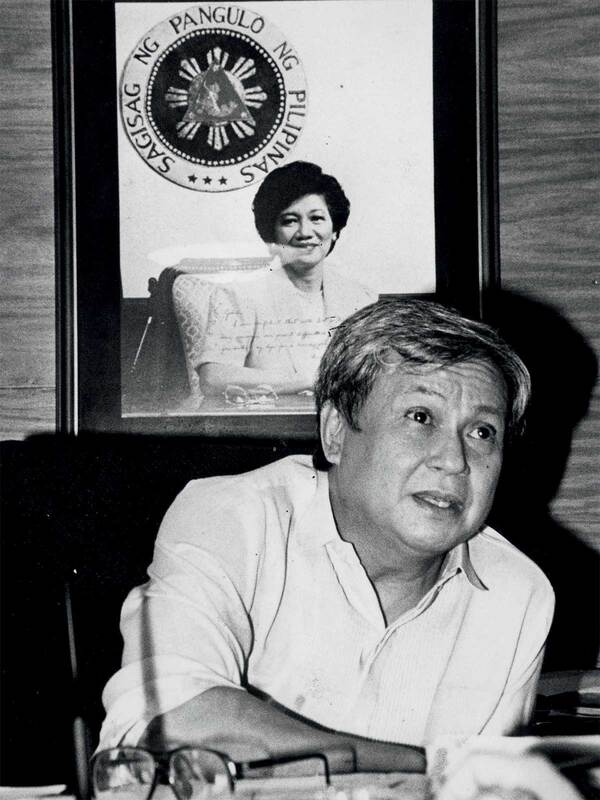 Thorn of presidents and street-smart parliamentarian, Joker Arroyo looks back at a career as a human rights lawyer turned accidental politician. Joker Arroyo professes no interest in penning his autobiography. Memoirs, to him, are just an attempt to revise history. His colleagues in politics may disagree, but then, Joker Arroyo would have little interest in reading what their memoirs might have to say about him. Not even the index pages. If Arroyo did self-author his own story, his editors would certainly insist that he include one incident from his “reckless” youth which he does not readily talk about. He too was the victim of an ambush, albeit one of no political consequence. One night in the late 1940s, he was stabbed seven times by an acquaintance on his way home from classes at the Ateneo de Manila. From that incident, a spin doctor looking to put forward a komiks-ready political biography could fashion a tale of courage, of triumph over adversity. Arroyo did not keel over; he ran after his assailant despite his wounds. He endured several months of physical therapy at the V. Luna Medical Center afterwards, never regaining the use of his right pinkie finger. Yet ask Arroyo about that incident, and he’ll just dismiss it as an embarrassment—he was after all hardly a hero, just a victim. Does he still think about that night? No, he says, it happened so long ago. The assailant, he adds, is long dead. From natural causes, he believes. The narrative dries out. Arroyo has other stories he wants to talk about, stories of greater consequence to a wider swath of people. He is fond of the phrase “present at the creation”—the title of Dean Acheson’s political memoir which to him, succinctly describes his unique role in our national life. “I was present at almost everything that happened from 1972 during martial law, from the very beginning until the end. Then, at the beginning again at post-EDSA, until now.” He adds, “I walked with heroes”—the title of another autobiography, this time by Carlos P. Romulo. Memoirs these days require images—more salable that way. Arroyo peers at a set of black and white photographs, all featuring rallyists (virtually all men), aligned at the barricades. He calls out the more famous faces. Senators Pepe Diokno, Lorenzo Tañada and Soc Rodrigo, publisher Chino Roces. “I walked with heroes,” he says again. Many of these heroes are now dead. “These old men, they were hard to deal with sometimes….” he recalls as the photographs speak to him. Joker Arroyo, the activist, the crusader for human rights, the House Speaker of the parliament of the streets. This is the Joker Arroyo entrenched in the institutional memory of the generation whose political consciences formed during the totalitarian rule of Ferdinand Marcos. It is the same Joker Arroyo, now an old man himself, imbued with that sheen earned only by those who fought the dictator Marcos from the very beginning, who stood up on the Senate floor on May 29, 2012. He knew that Chief Justice Renato Corona was about to be convicted with a sizable margin by the Senate acting as an impeachment court, at the active urging of the son of Benigno Aquino Jr., his former client, whose death sentence through musketry was eventually carried out on the staircase of an airplane. On this day, he hints at a “political assassination.” He will, for what it is worth, dissent. “No one can stop us if we do not stop ourselves,” he tells his fellow Senators, the radio, television and live-stream audience eavesdropping. “This is not justice, political or legal. This is certainly not law. For sure, this is certainly not the law and the Constitution; this is only naked power as it was in 1972.” Charged words, given his proximate experience with 1972, but he speaks softly. Only at the word “naked” does his voice take on an edge, but this too passes. Why waste bombast on a lost battle? 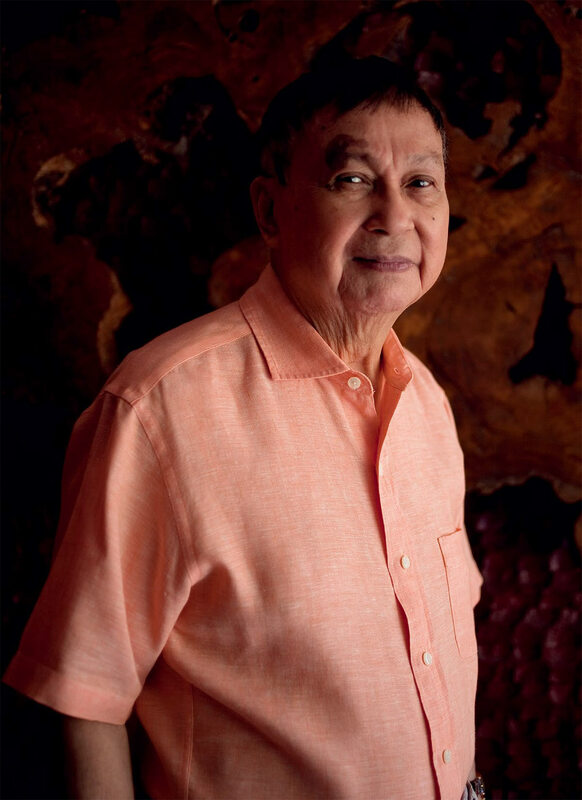 In 1972, Joker Arroyo had been a lawyer for nearly 20 years, satisfied with a modest yet thriving general legal practice. Among the clients of his law firm were three major press groups—the National Press Club, the Philippine Press Institute and the Manila Overseas Press Club. The general practice was hardly cause-oriented. There was one notable exception. Two years earlier, his law firm had collaborated with the legal defense of the Yuyitung brothers, Rizal and Quintin, publishers of the Chinese-language Chinese Commercial News then fending off deportation after publishing news reports culled from Western wire services about the People’s Republic of China, which the Philippines did not yet recognize as a legitimate country. Their legal efforts proved in vain. While the deportation proceedings were pending, the Yuyitung brothers were seized by the military and airlifted to Taiwan where they were locked up in a military prison. Eventually, one of the brothers was slated for release. Arroyo’s law partner, Johnny Quijano, flew to Taipei to attend to their client. It was Saturday, September 23, 1972. His passport cancelled, Johnny Quijano would be able to return to the Philippines only in 1986. 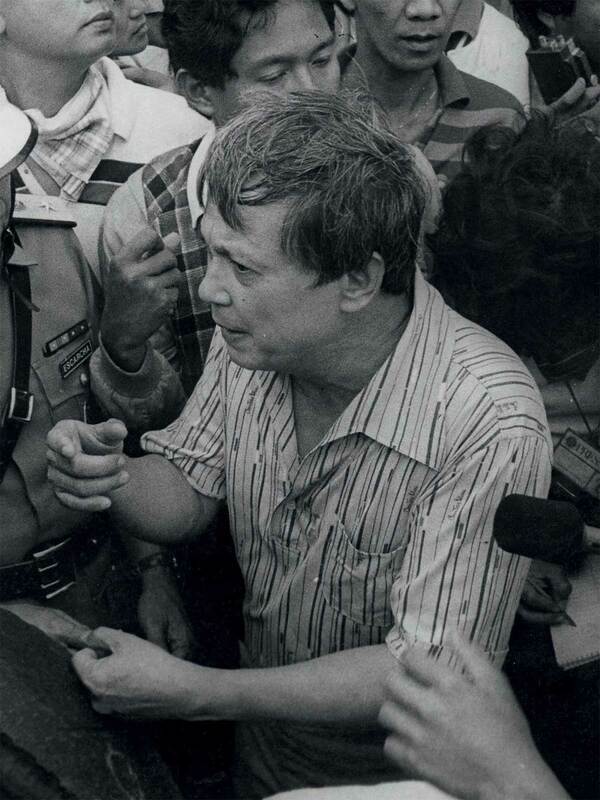 Arroyo was at his office when he received a fateful phone call from the Philippines Free Press. 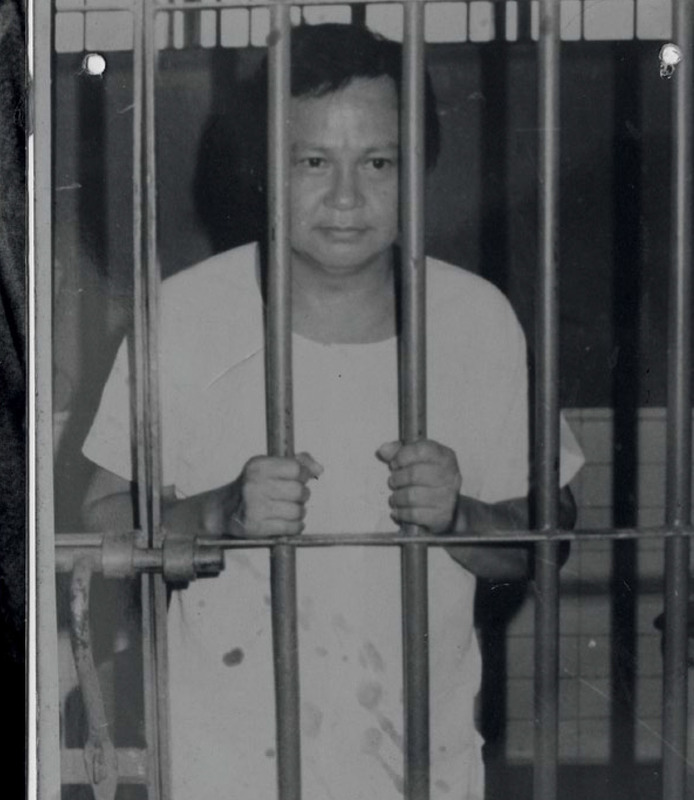 The magazine’s offices had been padlocked, its editor Teddy Locsin, Sr. had been arrested. More phone calls brought news of more arrests of journalists—Chino Roces, Max Soliven, Amando Doronila, Louie Beltran. Before Philippine Press Institute Director Johnny Mercado was himself arrested, he managed to call up Arroyo, telling him that martial law had been declared. Those days, people worked on Saturdays. By the afternoon, Arroyo had filed a habeas corpus petition on behalf of his journalist-clients, asking that their captors be compelled to present their live bodies before the Supreme Court. The veteran lawyer had never prepared a habeas corpus petition before. This was less an act of defiance against the looming dictatorship, more an act of desperation of a lawyer employing the most sacrosanct of legal remedies to ensure that his clients did not permanently disappear. Nonetheless, because habeas corpus forces judges to inquire into the causes of one’s detention, Joker Arroyo became the person to challenge the newly-acquired dictatorial powers of Ferdinand Marcos’s dictatorship. Until that moment, Arroyo was apolitical. He had never met the eminences of the anti-Marcos opposition such as Tañada, Diokno and Soc Rodrigo. They learned that he was the first to step into the line of fire, so they welcomed him into their circle. Arroyo gained a new set of clients, the victims of Marcos’s political oppression. His most famous client was Senator Benigno Aquino, Jr., whom Arroyo had only known as that plebe whom he as an upperclassman had initiated into the Upsilon Sigma Phi back in the 1950s. Another fraternity brother, from an earlier generation, was Ferdinand Marcos. Arroyo says he never got to meet that President. Human rights advocacy at the height of martial law led Joker Arroyo to uncomfortable places in the dead of night, in search of clients who had disappeared. “You go to the military camp in the middle of the evening, then you talk to that guard who does not know anything. Then you ask for the officer of the day, the officer of the day comes out, talks to you. You tell the officer, we’re looking for so and so, and he says, we don’t know. Through persistence, because you park yourself outside of the guard house… somehow when they change guards, naawa na lang—that’s also the Filipino character—they go back, then finally an officer comes out and says, nandito pero we cannot allow you inside the camp because it is past curfew. We will just stay here. Again, awa. Then you’re allowed to get in, and we see them. Arroyo bristles at the idea that his later public offices—Executive Secretary, Congressman, Senator—were more significant than his work from outside the margins. “Desk jobs,” he calls these high offices, “no sacrifice, no risk, no danger.” Human rights lawyering was different. You sweat it out. “We go all over the country looking for victims of human rights whose families don’t know where they are, then you find them, and when you find them, you report to the parents, ‘Nakita ko na 'yung anak mo, hindi naman ginalaw.’ And the facial expression of the parents, that nothing had happened to their children, these are the feelings, these are the rewards you cannot…” The sentence remains incomplete, but it is clear Arroyo has no regrets. During martial law, human rights lawyering did not garner much sympathy. Arroyo regrets that not much has changed today. “There’s very little empathy even today towards reports on human rights abuses. You report on these abuses, it does not create attention, especially if the victims are lowly. If you are watching television reports on such abuses, it will not stick in your mind.” Has torture become so entrenched in the Filipino culture as to desensitize us? “I don’t know,” he says. “Why?” he adds. The question remains unanswered. Arroyo’s own detention experience—three months in 1978—was in contrast, a lark, evoking the mafiosos' jailhouse pasta dinners as depicted in Goodfellas. A noise barrage on the eve of the discreditable 1978 parliamentary elections landed over 600 people in detention at Bicutan, including Senators Diokno, Tañada and Rodrigo, and Joker Arroyo. Prison was an unexpectedly kind experience. Prominent detainees would attend a daily 3 p.m. mass celebrated by a fellow detainee, the Jesuit Fr. Romeo Intengan, then repair to a literal cocktail hour—Pepe Diokno, memorably, once tripped, shattering a large bottle of whiskey that he had brought for the occasion. Arroyo acknowledges the unfairness of the situation— the less well-known detainees did not enjoy such boarding school privileges. “Who could touch Tañada, who could touch Rodrigo?” Non-establishment figures would not fare better, especially the communists, who would become the worst victims of human rights violations. Marcos was not as concerned with the communists as he was with the secessionists in Mindanao, Arroyo now says. As for those who employed peaceful means of opposition, Marcos preferred to ignore them. Arroyo is acutely conscious that the totalitarian rule of Ferdinand Marcos did not terrorize, on a daily basis, each and every citizen. Nothing like the dictatorship of the three Kims of North Korea. The atmosphere of fear that prevailed during the first few days of martial law became inculturated in the people’s daily routine, diminishing its bearing. And the fear led to a form of calm —Arroyo claims he felt safer driving around Metro Manila during martial law than today. “I entered politics as an independent. Being an independent has its own rewards and drawbacks. I could not ask for favors, but I have no debts to repay either." It is no secret that Arroyo is no fan of the leadership style of [then] President Benigno Aquino III. The President lacks vision, as far as Arroyo is concerned; he deems him as smallminded as a municipal mayor. Unsurprisingly, despite the previous close ties amongst families, the Senator and the President do not talk to each other. Arroyo traces the root of the discord to a bill then-Senator Aquino had authored while the both of them sat at the Senate, which sought to create a separate congressional district exclusively for the City of Malolos. During deliberations, Arroyo said he warned Aquino that the measure was unconstitutional as the population requirement of at least 250,000 residents had not been adequately met. The measure was enacted anyway in May of 2009. Seven months later, the Supreme Court declared the law unconstitutional for the same reasons Arroyo had warned, albeit by a close 7-6 margin. According to Arroyo, the future President took offense, somehow blaming Joker. Arroyo’s old bond with the Aquino family had been forged in struggle, tragedy and triumph. At the moment the [former] President’s father was murdered on the airport tarmac, Joker Arroyo was at the airport terminal, together with Ninoy’s mother, sisters and brothers. Ninoy’s wife, Cory Aquino, heard the news at her Boston home. Less than three years later, she was the President of the Philippines, her husband’s lawyer by her side as her Executive Secretary. “Human rights activists during the martial law era had no ambition to enter politics, they were involved due to a decision of conscience, not for an ulterior purpose.” Still, Joker Arroyo, the ultimate activist, was called upon to serve. “Camelot days,” he calls his 19-month stint in the Cabinet of Mrs. Aquino. Media reports from that period (which he decries as exaggerated) hint at a different story. Yet in the end, for Joker Arroyo, serving as “the Little President” was just another desk job. It was in Congress—nine years as a Representative for the City of Makati, and 12 years as a Senator of the Republic—that Joker Arroyo established his political persona. “I entered politics as an independent. Being an independent has its own rewards and drawbacks. I could not ask for favors, but I have no debts to repay either.” As a legislator, he is deliberately understaffed—a habit that began in the House when he realized he could answer all his correspondence by himself while seated at his desk on the House floor instead of listening to speeches of no consequence. Joker Arroyo may well have been the loneliest member of Congress. Arroyo’s fame as a human rights lawyer and as Cory Aquino’s Executive Secretary was enough to propel him to election to the House of Representatives in 1992. He says he was convinced to run for the House by then-Makati Mayor (now Vice-President) Jejomar Binay, after he was convinced that he would win without having to campaign. As it turned out, he was forced to campaign in the end after survey results showed that Makati residents were assuming that he was running for the Senate instead of the House. Despite his protestations that he was merely an accidental politician, Arroyo has won five consecutive elections, the last two on a national level. His electoral victories have been secured despite his refusal to avail of the Priority Development Assistant Fund (“pork barrel”) received by other legislators; a practice which he does not condemn even if he refuses to partake. When Joker Arroyo successfully ran for the Senate in 2001, it was under the “People Power Coalition,” the senatorial slate cobbled together by the freshly-installed President Macapagal-Arroyo. Among the members of the People Power Coalition were former House Speaker Manny Villar and former Senate President Franklin Drilon, both of whom had lost their leadership posts after withdrawing political support for the increasingly beleaguered President Estrada. By 2007, Macapagal-Arroyo was herself a beleaguered president who the opposition tagged as just as corrupt and venal as Ferdinand Marcos. That year, when Senator Arroyo ran for reelection, he did so under a ticket that included such die-hard presidential allies as Mike Defensor, Butch Pichay and Chavit Singson. It is clear that Arroyo aspires to be the sober person inside the circus bigtop that is Philippine politics. This stance left him an ill-suited character in the good vs. evil narrative with which the Macapagal-Arroyo presidency was popularly defined. George W. Bush speaking after 9-11 lay down the gauntlet: “You’re either with us or against us.” It is, in less equivocal words, the same gauge applied in hindsight by which we ascertain the moral center of our political figures who were already in public life during martial law. The same test too now applied to Pope Francis on his moral assertiveness as Fr. Bergoglio during Argentina’s Dirty War. We are all suckers for the good vs. evil narrative; the most published book in the world after all is the Bible. “On fundamental issues,” Arroyo emphasizes, “I’ve voted against Gloria. I do not even know if any Senator there can say that they took positions against those issues that were dear to Gloria’s heart.” Still, he chose to run under the ticket that she had blessed in 2007. “I did not have faith in her, but I also did not have faith in those do-gooders because…like in the case of General Jovito Palparan. I and Serge Osmena, and I think Congressman [Antonino] Roman, were the only ones who voted against Palparan’s confirmation [as major general in 2007]. But every one else in the Commission on Appointments voted for him, that’s why he continued all those…” Arroyo pauses, never completes the sentence. Joker Arroyo the human rights lawyer would be all too conscious of all the enforced disappearances, the violations against life and liberty attributed to General Palparan, now a fugitive from justice. Joker Arroyo the lawyer would also be conscious of the sometimes-frustrating constitutional presumption of innocence before guilt is proven. “One thing the government should never forget—that they should never lose their moral high ground. They are the government, therefore they cannot commit wrongs to equalize things." One of the final bills Arroyo worked on in Congress was the Human Rights Victims Reparation and Recognition Act. It gnaws at him that the generation of martial law babies, and those born after, may have forgotten about martial law or may be susceptible to revisionist retellings of that story. The measure, which Joker authored, legislates the commemoration of Marcos-era human rights victims through a memorial, museum or library to be established in their honor, with a compendium of their sacrifices readily accessible on the Internet. At least 500 million pesos would be allocated to this memorial, and 10 billion pesos appropriated for reparations to individual human rights victims. This measure aimed at righting wrongs on victims of the State, was, according to Arroyo, “not really popular in the Senate.” The word “reparation” appears 27 times in the new law. The emphasis on “reparation,” Arroyo says, was to dispel the notion that this was a mere compensatory measure, a means of obtaining underserved money from the government. That the son of the most famous political martyr of the dictatorship was now President did not guarantee passage of the law. Arroyo feared that his identification with the bill might jeopardize its chances at passage. He kept a low profile, and when the bill was signed by President Aquino, he did not attend the signing ceremony at the EDSA People Power Monument. Before Joker Arroyo was here, he was there. He really should write his memoirs. This article appeared in the April 2013 issue of Esquire Philippines. 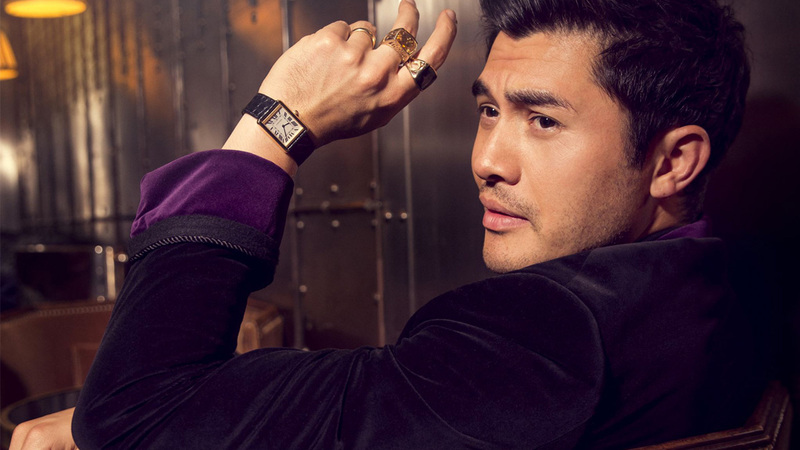 Minor edits were made by the Esquiremag.ph editors.